The TIFD News and other publications (except where noted) are in PDF format. If your browser is not already configured to read PDF documents, you will need to download Adobe Acrobat Reader to view them. Watch this space for the latest issue of the TIFD Newsletter. The editor can be reached at editor@tifd.org. TIFD maintains a directory of folk dance groups in the Southwest, including the states of Texas, Arkansas, New Mexico, Louisiana, Oklahoma, and Arizona. 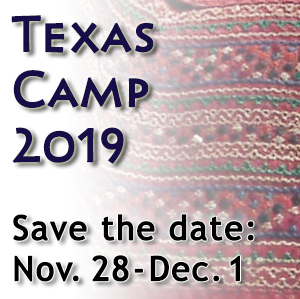 The Texas Camp Syllabi Master Index (PDF) lists over 1400 dances published in Texas Camp syllabi from 1954 through the present. TIFD members can request a digital copy for personal use. TIFD’s Bylaws (PDF) are also available for download as a PDF document (20K). Copies of the TIFD Board Manual and Texas Camp Manual are available upon request. Please email us to request a copy of either manual. Manuals are published in PDF format.